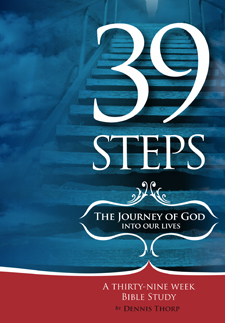 A thirty-nine week Bible Study. The very Creator of the Universe has chosen to come to the Earth and relate to the people he has made, reconciling them to himself. It was a journey which took thousands of years of preparation and culminated in an indissoluble partnership which will last for eternity. These studies are designed for personal daily research written up in a notebook. This can then be shared weekly with a discussion group which has committed itself to one year of challenging life changing Biblical theology. Help: This book is only available in Kindle eBook format. To purchase the eBook version, click on the Kindle icon to buy from our eBook retail partners. Copyright © 2012 Castle Publishing Ltd.